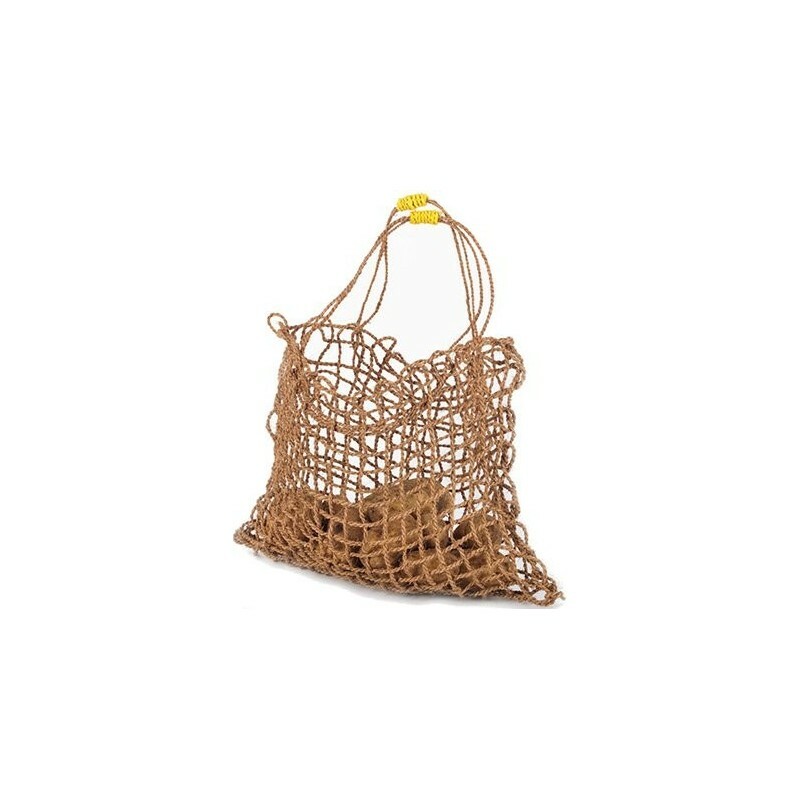 A lightweight, raw coconut fibre string bag that's perfect for grocery shopping and storing produce. Made by the women of the Araliya Community Company which celebrates their artistic skills and aids the local women and their families who are living in poverty. One string bag. Natural undyed coconut. Reusable bags save plastic bags from landfill. Handmade by the Araliya Community Company. Natural fibres mean bag is recycable/ compostable. 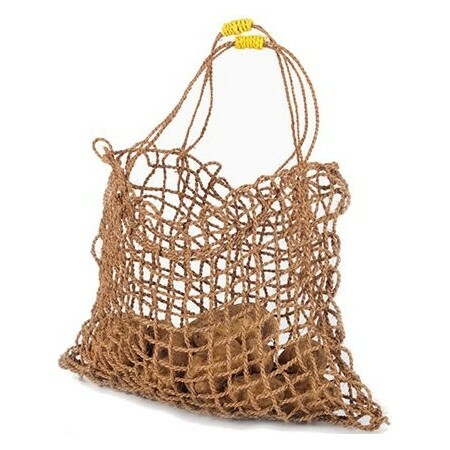 Natural fibre string bag that is perfect for carrying produce and other groceries. Is a reusable and sustainable option. Authentic raw coconut husk string.